Q. How are carbon caps affecting the growth of Taiwan's power sector? On December 15, 2007, the Bali meeting in Indonesia set up a road-map for global carbon emissions after 2012. The goal is for CO2 emissions to be reduced by 25-40% in 2020 which is in comparison to those in 2005. The global consensus of greenhouse gases reduction will definitely impact on the trends and development of the power sector. To meet the requirements of greenhouse gas reduction the power industry must take into consideration the low-carbon issue in the operation of power plants and any new investment in the future. Second, is the application of information technologies in the power industry, in order to provide consumers with better quality and value-added services. The Smart Grid has been seriously considered, developed and deployed, particularly in view of the rapid growth of renewable energy and distributed power sources. Third, is the establishment of ‘demand response' service systems to reduce the cost of power supply. ‘Demand response' is a win-win strategy, under which the power company provides ‘value-added' services based on customers' choice and at the same time, the system peak load can be minimised and the capital investment or power purchase can be reduced. Q. In the midst of the liberalisation of Taiwan's electricity market and high fuel costs, what is Taipower doing to cope with Taiwan's increasing power demand? The soaring prices in the international fuel market imposed serious financial impact on Taipower's operation. Taipower must cope with this difficulty and be prepared for the challenges of the electricity market liberalisation. Taipower will continuously implement various strategies for reducing costs and enhancing efficiency, such as the upgrading of power facilities, working processes, streamline, manpower strengthening, management improvement and power dispatch optimisation, etc. Taipower will provide customised and diversified services to customers based on their demand, and will establish a mutual trust and a mutually dependent relationship with customers. Taipower will do its best to win customers' loyalty by constantly improving the service standards in order to maintain its market share. To provide a high-quality power supply, which is a requisite for modern life and high-tech industries, Taipower will not only augment its power supply infrastructure but also upgrade its operation of transmission and distribution grid. Finally, Taipower is determined to create a safe and healthy environment. Taipower will not only take care of its stockholders' interests but also work on maximising environmental protection. Taipower is promoting energy conservation to control carbon emission, and will endeavor to comply with its social responsibities as a social citizen. Taipower will build up its core competencies and upgrade its core technologies through the innovation of processes, improvement of technologies and the application of R&D results. Q. What are the new technologies being developed by Taipower and how will these technologies bring much-needed change to the power sector? In response to the requirement of GHG reduction, Taipower wishes to deploy clean-coal technology in the future. Taipower has surveyed and paid much attention to the development of Integrated Gasification Combined Cycle (IGCC) and Carbon Capture and Storage (CCS) technologies and its potential hurdles to commercialisation. Taipower has launched a feasibility study to evaluate the introduction of IGCC and CCS technologies to Taiwan and is also establishing a Smart Grid. In the wake of the booming development in renewable energy, Taiwan power system will face the pressure of various distributed generations to be integrated into the power grid. Taipower has conceived a ‘Smart Grid Roadmap' for the upcoming 20 years. It schedules to complete four objective areas which include security and grid reliability, energy efficiency, customer service quality, and distributed generation integration and two support platforms including communication protocols integration and resources sharing-platform in three phases short-term, mid-term and long-term. In order to upgrade the ability of the grid to respond to load demand and to strengthen the capability and reliability of the transmission system, Taipower will install STATCOM of FACTs system and/or back-to-back HVDC system at some extra high voltage substations. The information technologies related to distribution systems are under way to be integrated by the design, construction, maintenance and system dispatch of the distribution system. The application of new users, customer services and metering and billing of the energy sale system. The call centre system and the business operation core system. The promotion of the Automation Metering Information Program. The establishment of the fault detection, insulation, and service restoration (FDIR) Feeder Automation System. Q. What difficulties does Taipower face in terms of power generation, electricity market liberalisation and CO2 reduction? Taipower will evaluate the mix of power generation types in its power system from time to time to optimise the balance among security, economic supply and CO2 reduction. 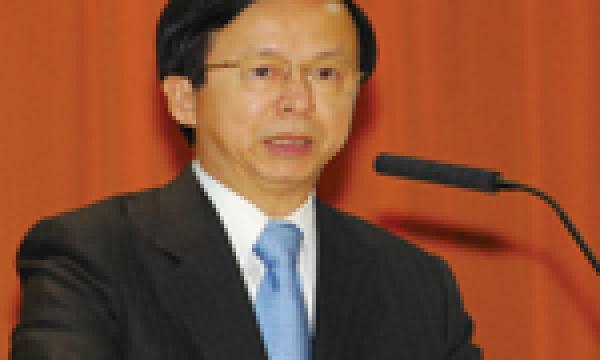 The liberalisation of the electricity market is a long-term policy of the government in Taiwan. In order to cope with the challenges in a competitive market, Taipower will endeavour to improve the quality of customer service and power supply to win customer's loyalty. Taipower is doing its best to cut down expenses, enhance efficiency and diversify business areas. Taipower also faces the soaring prices of the energy market and the uncertainties of energy supply. Taipower will review its fuel purchase contracts and strategies to appropriately respond to the market change, look for opportunities for overseas energy investment, build new bulk-carrier vessels for coal freight and promote the conversion of the domestic natural gas pipeline system into a ‘common carrier' in order for Taipower to embark on the import of LNG for its own use. Although Taiwan is not a treaty country of the Kyoto Protocol Agreement, the government pledged to take all possible measures to reduce greenhouse gas emissions. To cope with the challenge of carbon dioxide reduction, Taipower will intensively develop renewable energy and closely monitor the development of low carbon technologies worldwide. Q. With power supply security and sliding efficiency two major issues affecting Taiwan's power sector, what is Taiwan doing to confront such issues? The major issues concerning Taiwan and its power sector are the security of power supply and energy utilisation efficiency for all sectors and industries. Other issues include, CO2 emission control for the greenhouse effect and the sustainable development of the 3 E's, i.e. Economy, Environment and Energy. Some issues that need to be addressed by Taiwan's power sector include the introduction of a fair competition mechanism to cope with Taiwan's liberalised market, a reasonable electricity tariff system, transparent regulation and the risk management of uncertainties in the development of technologies. Q. Being Taiwan's monopoly electricity supplier, why is Taipower limiting the diversity of the power sector? Being a state-owned public utility, Taipower must comply with all the related laws, regulations and orders in its operation. Some of the laws and regulations may restrain Taipower from diversifying its business as flexibly as a private enterprise. Under these limitations, Taipower still has various strategies to diversify its business areas by providing services of operation, maintenance, and employee training and instrument or equipment tests for IPPs power plants. Other strategies include setting up join ventures or subsidiaries for co-generation and overseas coal mine development, engaging in related businesses, including investment in power plant and power facility maintenance overseas and security business and revitalising properties for parking services or buildings for advertisement. Q. What changes do you predict for Taiwan's power sector in the next decade? It will change under the global concern for climate change and a series of sustainable development policies worldwide. The power sector is developing the technologies of ‘low-carbon' or ‘no-carbon' power generation, including renewable energy, advanced nuclear power and integrated gasification combined cycle (IGCC) power plants. Regarding the renewable energy development in Taiwan, Taipower will aggressively promote wind power and solar energy generation. Some problems that we see for these generation methods include wind power being subject to weather change and solar energy requiring wide-spread installations and bi-directional energy management for day and night generation. The development for wind and solar power will be aimed at distributed generation and electrical network reconfiguration, in order to mitigate their impacts on the power system. For nuclear power development, Taipower will review current nuclear power policy and make recommendations to the government when it is necessary. 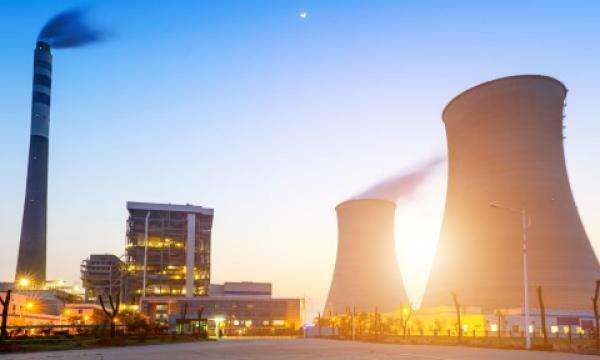 The development of nuclear power generation in Taiwan will be affected by factors such as the energy policy, operational safety, waste disposal and construction costs. Regarding gas-fired power generation, the government plans to raise the ratio of gas-fired power capacity to 26% by 2020. However, gas-fired power plants will be affected by the supply stability of liquefied natural gas (LNG) in the global dash for LNG. For coal-fired power generation, Taipower will introduce new supercritical generation units with a technology of carbon capture in the future. In the long-term, Taipower will consider the introduction of IGCC with carbon capture and storage technology. Q. What is Taipower doing as a power utility to comply with the industry's notoriously strict environmental standards ? Taipower has adopted various measures to develop non-carbon or low-carbon technologies in renewable energy and the efficiency of energy use in compliance with the government's energy policy. Some of these measures include the implementation of plans for renewable energy development, the enhancement of power plant operations, the promotion of white-light LED lighting and the promotion of energy conservation. Q. What are the new energy sources being advocated by Taipower? Taipower is advocating advanced photovoltaic systems, including high concentration photovoltaic and thin-film photovoltaic technologies, wind power with forecasting systems and high temperature fuel cell systems. Some others include technologies such as fuel cell, energy storage applications, ocean thermal energy and also marine current energy.